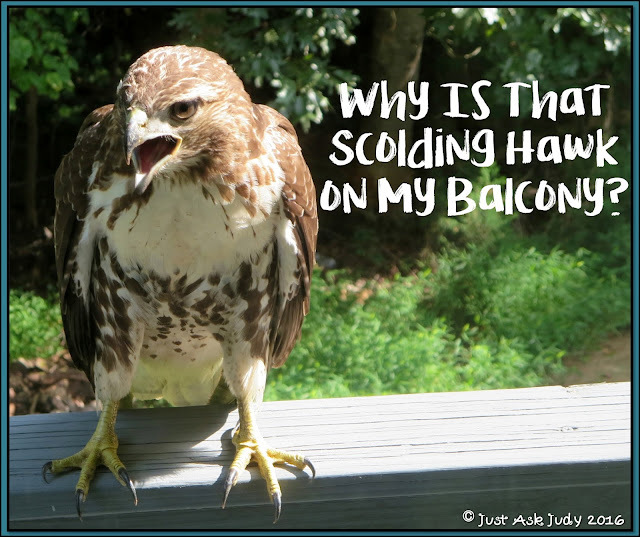 Why Is That Scolding Hawk on My Balcony? I quickly got up to see if this really was an owl and discovered it was a hawk. Thankfully, my camera was nearby and I was able to get some incredible photos of this stunning event as it unfolded! As my husband and I watched, the hawk slowly appeared to become aware of us peering through the glass at it from a mere three feet away. 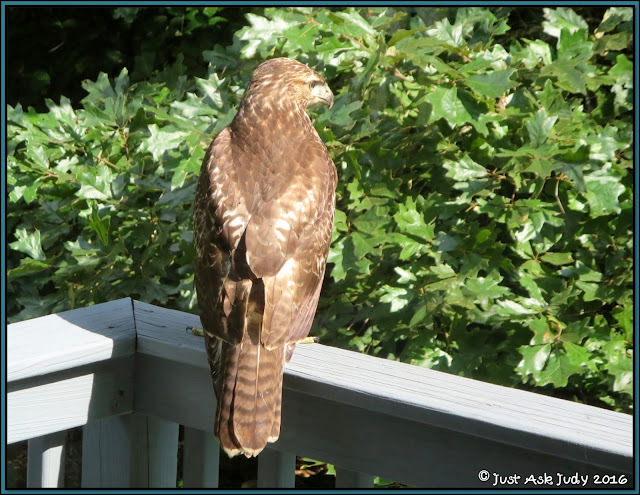 We watched with astonishment until the hawk was fully facing us. As you can clearly see, it then began to scold us, repeatedly, for seemingly endless minutes. I was concerned it would fly into the glass and harm itself so I closed the drapes. A few minutes later, I heard a thump as it landed in front of the door. The hawk flew back to the railing before I could snap a picture. Eventually, it left the balcony for the backyard. A short while later, I noticed it in the front yard. It then settled on a bench on our front porch for a short bit, before leaving our yard. 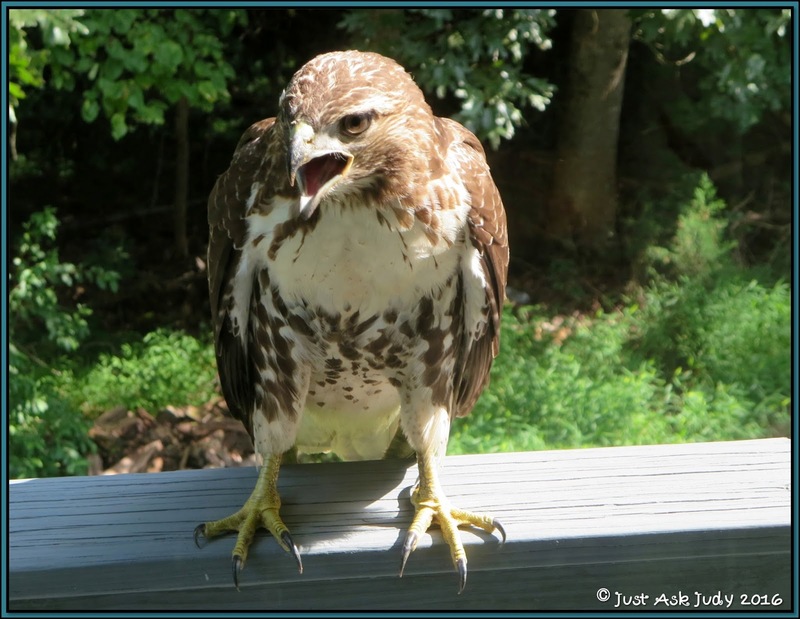 After engaging in a bit of research and sharing these photos with several friends, the consensus is that this was probably an immature red-tailed hawk. We live on a partially wooded three acre lot and certainly spot this common hawk with regularity in our neighborhood, but I never expected to see one on my balcony scolding me so vociferously! I know this incident certainly piqued my curiosity about hawks. 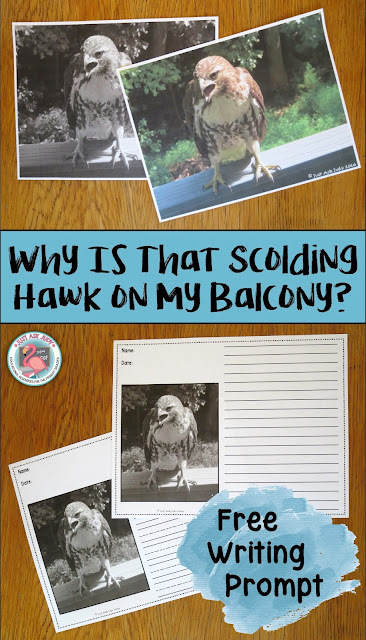 Perhaps your students would enjoy learning about hawks or writing about my scolding hawk. We can only guess why it was scolding. Was it hungry, looking for its mother, upset I was taking its picture, with seeing us or its reflection? I’d love to hear what your students think. I have not included an actual writing prompt so you can choose how to use this resource. Ideas include writing facts about hawks, listing reasons why it is scolding, or telling about one reason. There is an 8.5 X 11 inch photo, in color and in black and white, along with two student writing pages with different writing lines. You can display the large photos as the prompt and use any writing paper or choose and copy a student page. 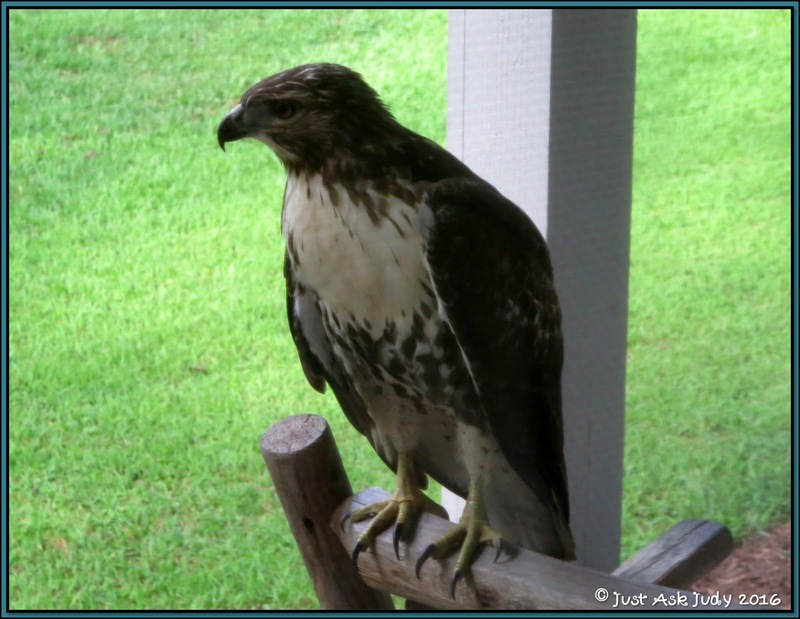 Enjoy this free Hawk Writing Prompt!